Knorr-Bremse has built an autonomous semitrailer rig that can drive itself to the loading bay and back across the yard with no driver in the cab. The company is demonstrating this and other driver assistance systems from the future of highly automated commercial vehicles in a test truck in the New Mobility World LIVE arena at the IAA. “Everyone’s talking about Highway Pilot, the truck that drives onto the autobahn and handles everything automatically. And while that will certainly happen, it’s a long-term prospect. For our part, we will be actively shaping the route to the Highway Pilot and continuously expanding our portfolio in the field of driver assistance systems and automated driving,” ex- plains Dr. Peter Laier, Member of the Executive Board of Knorr-Bremse AG responsible for the Commercial Vehicle Systems division. Trucks capable of autonomous yard maneuvering make for greater efficiency. This complex autonomous driving function is made possible by interaction of the powertrain, the iHSA® steering gear and the braking system, supported by simultaneous detection of the vehicle environment by radar and ultrasonic sensors, cameras and GPS. 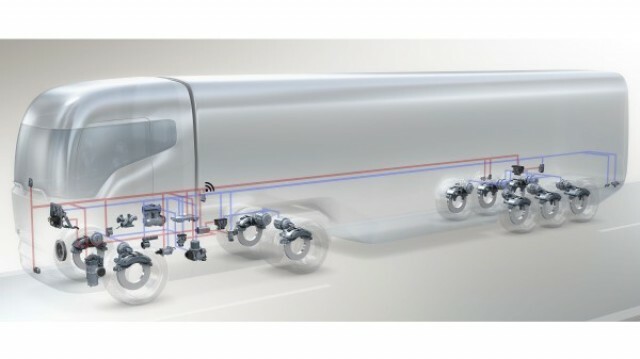 Smart system connectivity enables the truck to maneuver autonomously to and from the loading bay with great precision, stopping automatically if danger is detected. This way, there is less risk of minor damage being caused during complex maneuvering, and no time is lost because of errors in bay selection. Drivers are free to carry out other duties or take their statutory rest hours. Through this demonstration of autonomous yard maneuvering, Knorr-Bremse is showing what is currently technically feasible, as well as underlining its own systems integration expertise. In the specific context of a depot, with its low speeds and fenced-off spaces, the legal framework for rapid realization is also given. The first steps have already been taken: Lane Departure Warning, Adaptive Cruise Control and Autonomous Emergency Brake systems from Knorr-Bremse are already installed in trucks out on the road. Next up are Turn-off Assist, Congestion Assist and Autobahn Assist. Following the acquisition of tedrive Steering Systems and its iHSA (intelligent Hydraulic Steering Assist) system, Knorr-Bremse will be able to offer numerous proprietary driver assistance systems and automated driving functions from a single source. In this context, the company’s Global Scalable Brake Control (GSBC) system provides an efficient integration platform for future driver assistance functions. In addition, GSBC and iHSA together form a control network for the longitudinal and lateral guidance of the vehicle in automated driving functions. The back-up function required to cover the event of component failure in automated driving is already built into this system. As a result, highly auto- mated driving functions in the commercial vehicle sector can be realized efficiently. Along with autonomous yard maneuvering, at the IAA fair in Hanover Knorr-Bremse is presenting its Turn-off Assist system with the potential to substantially reduce the number of accidents at urban intersections. The near-side door mirror is replaced by a camera which, together with a side-mounted radar, scans the relevant environment. When the vehicle is on the road, a monitor in the A-pillar shows what would appear in a conventional mirror. If a collision threatens, the driver receives acoustic and visual warnings and the monitor displays the blind spot on the right hand side of the vehicle. This way, the driver can assess critical situations more accurately and react accordingly. Under the heading of “Creative Systems – Globally”, at booth A30 in hall 17 and in outdoor area D131 visitors to the IAA Commercial Vehicles fair can experience Knorr-Bremse’s extended portfolio of systems that provide answers to the growing automation and connectivity of the transportation and logistics sectors. Under the umbrella of Volkswagen Truck & Bus, the MAN and Scania brands have determined clear principles for their joint development projects and have concluded a corresponding basic agreement. In future, teams consisting of engineers from both brands will develop core components of the drive train together. There will be common platforms for engines, gearboxes, axles and exhaust after-treatment systems that can then be modified by the particular brands. One of the two companies will take the lead for each project. The lead engineering concept ensures that the needs of both companies are taken into account, the individuality of the brands is maintained and competencies are clearly defined. MAN and Scania will determine the brand- and customer-specific requirements for the components early on in the development phase. The needs of Volkswagen Caminhões e Ônibus and Navistar will also be incorporated into this phase. A uniform planning process guarantees that the research and development departments at MAN and Scania work in a homogeneous manner. This is also mirrored in the matrix organisation of Volkswagen Truck & Bus. The cross-company function, Research & Development, manages the cross-brand planning process. Scania will take the lead in the development of the common engine platform with a capacity of 13 litres, whilst MAN will be responsible for the engine platforms with capacities between five and nine litres. In line with this, Scania will be responsible for the large exhaust after-treatment systems and MAN for the medium and small systems. Gearboxes have also been allocated in a similar manner. 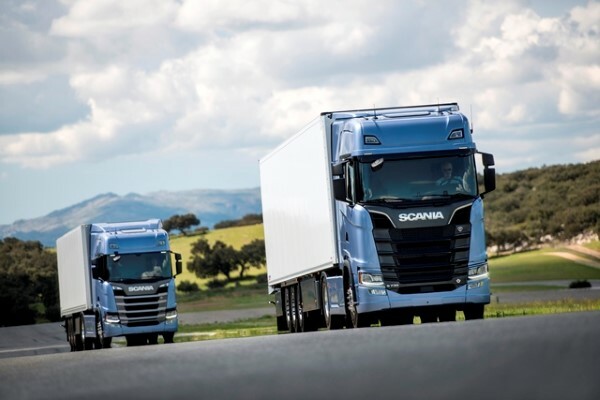 Scania will take the lead in heavy gearboxes whilst MAN will be responsible for the medium and light gearboxes. MAN will be in charge of driven axles and non-driven axles in future, and Scania will take the lead at engine management systems. The concept of lead engineering has little effect on the production sites; there will be no transfer of production. The guiding principle is that Scania will manufacture for Scania and MAN for MAN. Exceptions to this are gearboxes and non-driven axles. Scania will continue to produce heavy gearboxes and extend its capacities for the Group in Södertalje. In return, MAN will expand the production of non-driven axles in Salzgitter and will deliver these to Scania. The allocation of development leads to both brands will result in an increase in the workforce in certain areas, whilst other areas will have to be restructured with a view to the future. However, employer and employee representatives have agreed that the jobs of all members of staff in the areas affected will be secured. Employees will also be offered to move to the other brand for two to four years by means of a secondment abroad. This will promote mutual understanding and facilitate closer cooperation of the Volkswagen Truck & Bus brands. Alternatively, employees will be able to choose between other jobs at their current site at no financial disadvantage. “The decision to divide the lead functions for engine development and driven axles between MAN and Scania is the next major step in promoting synergies within our commercial vehicle brands. We will invest the resulting financial advantage in even more efficient MAN and Scania products for our customers. At the same time, jobs will be kept safe. At the production sites, everything will stay as it is: Scania will manufacture for Scania, MAN for MAN,” stressed Bernd Osterloh, chairman of the Group Works Council at Volkswagen AG. Daimler Financial Services is the world’s biggest financer of commercial vehicles: around 940,000 commercial vehicles, representing a business volume of around 34 billion euros, are on the road with a leasing, financing or rental contract from Daimler’s financial services division. This figure marks an increase of eight percent over the previous year. A good 50 percent of all contracts relate to the European market. In Germany alone, more than half of all Mercedes-Benz commercial vehicles, or more than 250,000 units, are on the road thanks to a contract with Mercedes-Benz Bank. The Daimler Financial Services portfolio includes commercial vehicles under the brands Mercedes-Benz, Freightliner, Western Star, Fuso and BharatBenz. Mercedes-Benz Bank will be present in halls 14 and 15 at this year’s IAA Commercial Vehicles. From the second quarter of 2017, Daimler Financial Services will be launching “Dynamic Lease for Trucks”, initially in Italy, then in further European countries. For this service, Daimler Financial Services combines a leasing arrangement with FleetBoard telematics data. By allowing the exchange of data while on the move, FleetBoard supports transport operators in planning routes more efficiently and reducing the operating costs of their fleets. With “Dynamic Lease for Trucks”, customers are able to influence their leasing costs, since these depend upon the distance actually driven. On top of a fixed monthly payment, the customer pays an additional variable charge: a lower charge is incurred by a truck that drives fewer kilometers; a higher one by a truck that covers greater distances. The usage-oriented tariff gives the customer greater flexibility, according to capacity utilization and order situation. The sale of a van these days is supported by the tablet-based VanSELLER app from Daimler Financial Services and Mercedes-Benz Vans. Customers and dealers can search for a suitable van without being bound to a certain area. The app offers everything you need from a single source: from the configuration of the van and a comparison with competitive models, through financing, leasing and service offers to the new insurance products. The customer thus very quickly receives a tailor-made offer in digital form, allowing a direct comparison with offers from other vendors. The VanSELLER app is currently available in ten European markets: Austria, Belgium, the Czech Republic, France, Germany, the Netherlands, Poland, Russia, Switzerland and the UK. Further markets will follow. At the IAA, the Mercedes-Benz Bank is also presenting a project involving an insurance app for vans. In the future it will be possible for the first time ever to arrange the insurance for a van without any need for paper at all. As part of the sales negotiation, the app guides the customer step by step through the application process, necessitating the input of just a few defining parameters. The rest is handled by the app. Customers then very quickly receive a direct quotation, which can also be retrieved at a later date via a QR Code and can even be signed digitally. The app ensures a more convenient, more efficient and more transparent process when arranging insurance. The roll-out in Germany is planned for the coming year in cooperation with KRAVAG. Commercial vehicle customers are focusing more and more on all-encompassing mobility solutions. There is a growing demand for bundling or all-in products that leave customers free to concentrate fully on their own core business. The close ties between the vehicle manufacturer and the captive make it possible for the benefits of CharterWay Full-ServiceLeasing to be fully exploited. By opting for the CharterWay ServiceLeasing complete solution, customers are able to minimize the effort they expend on vehicle management, optimize their financial flexibility and reduce operator risks. Mercedes-Benz CharterWay GmbH currently has around 50,000 ServiceLeasing contracts on its books. Flexibility is the key, since season fluctuations and short-term project work are part of everyday life for commercial vehicle operators. The modular structure allows offers to be tailored specifically to a customer’s requirements and individual needs and the creation of attractive bundled packages. Customers end up with the vehicle that they want, configured to their own specification, and are able to cover all their needs, from the procurement and vehicle management through repair and maintenance to the return of the vehicle at a guaranteed resale value, with just one contract and for a fixed monthly payment. There’s a new player in the heavy truck market with the Chinese vehicle maker, Foton, teaming up with Daimler, Cummins and other major players to produce a new line of models. 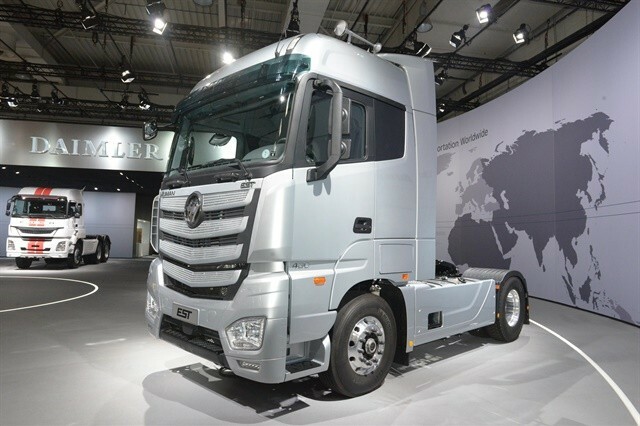 Known as the Foton Super Truck, the new trucks were launched at the IAA Commercial Vehicle Show in Germany and include the Auman Energy Super Truck (EST) and the Aumark S super medium-duty and light-duty. All three were co-developed with members of the Super Truck Global Innovation Alliance as part of reaching a goal of a 30% reduction in fuel consumption and carbon emissions and a 70% increase in freight efficiency. The Auman EST is primarily aimed at global logistics companies with long-haul freight needs, while the two Aumark S models are designed for urban use. Twenty years of business partnership between the coach company ‘Der Krostitzer’ and MAN/NEOPLAN have been marked with a special vehicle. 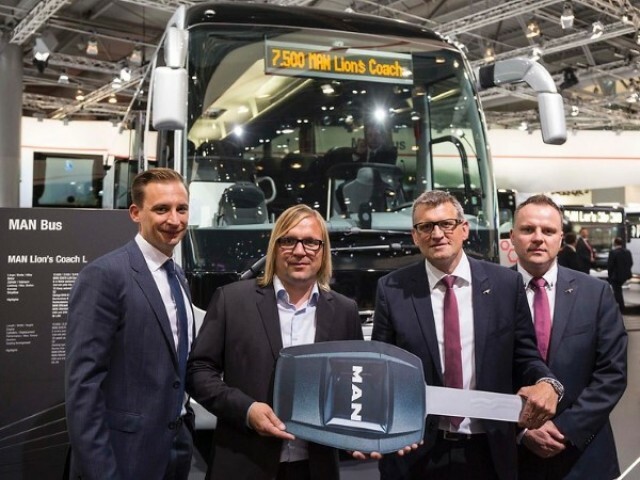 Lars Tscheschke, Service Manager at ‘Der Krostitzer’, was ceremonially presented with the symbolic key to the 7500th MAN Lion’s Coach at this year’s IAA Commercial Vehicles. The owner of the company, Maik Eckinger, already opted for a NEOPLAN Cityliner when purchasing his first vehicle back in 1996. The ‘Krostitzer’ fleet now consists of 12 coaches, eight of which are MAN/NEOPLAN vehicles. “In addition to the highly customer-orientated and professional support from our coach sales representative as well as the MAN Service Leipzig, the economic efficiency and extremely high levels of comfort provided by the MAN/Neoplan coaches are of major importance for our company,” said Lars Tscheschke on the occasion of the handover. And now they are being joined by a very special new addition. The anniversary coach is a 13,260 mm long three-axle vehicle that will mainly be used under commission of the largest tour operator in central Germany, Polster & Pohl. 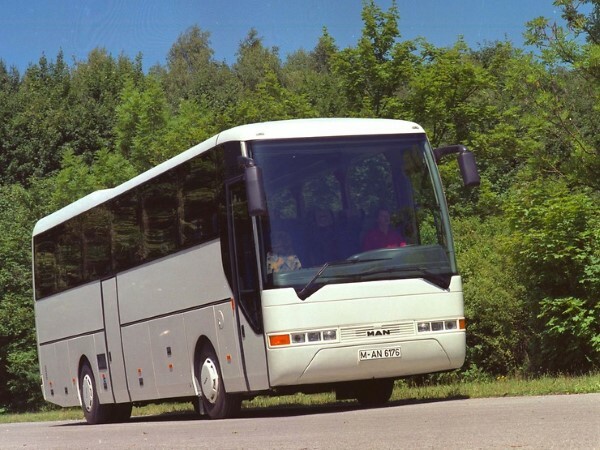 The advantages of this coach include a large 10.7 m3 luggage compartment and numerous assistance systems for an extremely safe and comfortable journey. This is supported by a dual-mass flywheel in the driveline which allows for even smoother running. The coach is fitted with an MAN D2676 6-cylinder diesel engine with 440 HP (324 kW) at 1800 rpm. The coach can accommodate a maximum of 52 passengers. As part of the ‘Safety Pack’ equipment on board, this modern coach is fitted with a Lane Guard System (LGS) with haptic warning as well as the MAN Adaptive Cruise Control (ACC). The latest generation of Emergency Brake Assist (EBA) is included as standard. Entry lighting and a camera to monitor the second door help to even further improve safety. MAN Truck & Bus introduced the MAN Lion’s Coach onto the market in 1996, at which time it was already being manufactured in Turkey by the MAN subsidiary MAN AS. What was originally intended as a low-cost alternative to the MAN Lion’s Star developed into the epitome of MAN coaches. 2002 saw the replacement of the previous models by a second generation. Today, customers can choose between three engines ranging from 400 to 480 HP – and from 420 to 500 HP with the new D26 engines – and three lengths from 12,000 mm to 13,800 mm. “The MAN Lion’s Coach has become indeed a leading star of our range, and rightly so, in my opinion. Its levels of economy, safety and comfort are truly convincing,” Heiko Haumer, Vice President Sales Bus Regions & International Key Accounts, was pleased to say on the occasion of the handover. Bridgestone is currently demonstrating its innovative ‘Tirematics’ tyre monitoring system at the ongoing IAA Commercial Vehicles 2016 trade fair, Hannover, 22nd to 29th September. 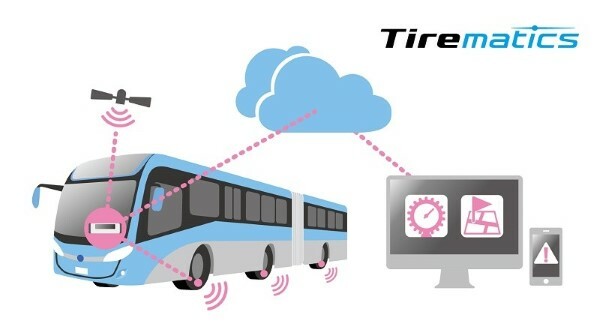 Tirematics™ encompasses all Bridgestone’s connected tyre solutions: IT systems that use sensors to remotely monitor, transmit and analyse real-time information, such as the pressure and temperature of commercial truck and bus tyres. The Tirematics™ fleet solution provides added value to fleet operators by taking a proactive approach to tyre maintenance, before serious problems arise, helping to reduce vehicle downtime and roadside breakdowns, while optimising tyre life and fuel economy. “Bridgestone’s Tirematics is a practical, cost effective fleet oriented solution with great impact on tyre performance, fuel economy and breakdown prevention” says Neil Purves, Senior Manager Solution Business Systems, Bridgestone Europe. Bridgestone has been providing a TPMS-based tyre pressure monitoring service as part of its fleet service programme since 2013, via the ‘sensors and gate’ system on display at IAA Commercial Vehicles 2016. Every time a vehicle passes through the gate, special valves on the vehicle tyres send pressure data via the GSM network to the Bridgestone fleet data server. Tyre pressure is evaluated in real-time and if it falls outside the pre-defined limits, an email is automatically generated to the fleet and service provider, so that immediate action can be taken. Reports can also be automatically created. More than 100,000 tyres are currently monitored through the server, with over 25,000 tyres measured daily. Expanding on the existing Tirematics connected tyre solution, Bridgestone is now trialling a system to bring further benefits to the fleet. In addition to tyre pressure and temperature information, this also provides relevant vehicle data to the server, on a continuous basis, not just when a vehicle checks in through the gate. This data allows Bridgestone’s advanced data processing system to react quicker to pressure issues, informing the fleet and breakdown service if a tyre is rapidly deflating. The system also enables advanced algorithms to generate predictive maintenance scheduling. Proactive alerts and regular maintenance reports allow the fleet and service provider to keep the fleet running efficiently at its optimal level. Some truck fleets have already reported reductions of 75% in tyre-related roadside breakdowns. In addition, fleets potentially save around 0.5% in fuel consumption due to the improved inflation condition of their fleet. Bridgestone believes Tirematics will also lead to significant cost savings on tyre maintenance since monitoring tyre information with a remote eliminates the need to check pressure with manual labour. More efficient maintenance will in turn allow tyres to be used for longer and more safely, reducing the number of tyres discarded prematurely and the total number consumed. With Bridgestone’s Tirematics solutions, fleet operators can therefore expect further cost reductions through more efficient operations. “In addition to the ongoing benefit of reduced tyre maintenance and breakdown costs, Bridgestone is testing advanced applications. Combined with vehicle data these can bring enhanced support to the fleet, allow optimal tyre selection for a particular fleet operation and enable us to provide targeted service leading to increased vehicle uptime” explains Neil Purves. Cummins featured a 54-year-old London Routemaster double deck bus yesterday, in the line-up of Cummins-powered clean buses appearing at IAA Hannover ready to meet the Euro 6 (VI) Phase-C low emissions regulations taking effect 1 Jan., 2017. The iconic Routemaster RM1005, which first entered service with London Transport in 1962, now has the distinction of being the oldest, cleanest bus operating in Europe after a Cummins repower installation with the B4.5 diesel rated at 150 hp (112 kW). Road-testing has demonstrated that the Routemaster, despite being more than half-a -century old, is capable of achieving up to 10 mpg (28 L/100 km), demonstrating efficiency and emissions equal to that of low carbon accredited buses operating in London today. The inherent structural strength of the B4.5 enables the 4.5-litre 4-cylinder engine to easily power the 64-seater bus, providing smooth acceleration and quiet operation. The only visible change within the driver’s half-cab is an updated dash panel and pedal controls to connect with the B4.5 engine management system. “We are delighted that RM1005 has made the journey from London to feature at IAA in Hannover, because this project demonstrates how even the oldest buses in operation can be repowered to meet the most stringent emissions standards,” said Ashley Watton, Cummins Director, On-Highway Europe. “By meeting 2017 Euro 6 Phase-C regulations, this now means the RM1005 is aligned with the intention of the proposed Ultra-Low Emission Zone (ULEZ) in London, able to operate alongside the newest bus designs,” Watton said. The Routemaster repower was completed using Cummins Smart Efficiency,™ a solution that enables the engine integration to be precisely configured to the specific duty cycle and driveline of the vehicle. The highly compact envelope of the B4.5 provided an ideal fit within the small engine compartment, ensuring that the characteristic external appearance of the bus remained unchanged, even with the incorporation of the switchback design Cummins Modular Aftertreatment. 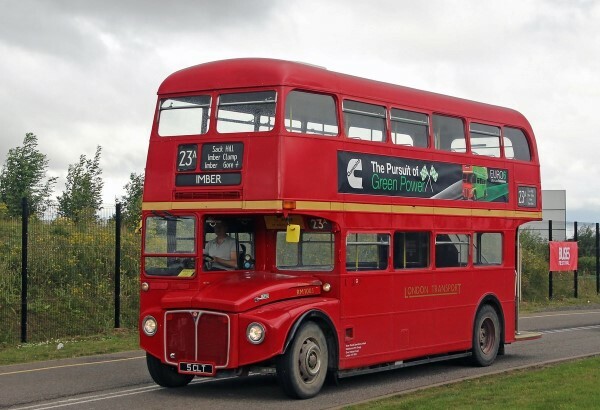 The Routemaster was purpose-designed by AEC for London routes with the first bus entering service in 1956, and the last withdrawn from regular service in 2005, although some, including the RM1005, continued to operate on heritage routes between tourist destinations. The Euro 6 repowered Routemaster RM1005 is owned by Sir Peter Hendy, formerly Commissioner of Transport for London, who challenged the Cummins engineers in 2015 to repower the bus to meet the most stringent emissions standards in order to continue working on heritage routes and charitable work. With many hundreds of Routemasters still on the road in the United Kingdom, the successful repower of RM1005 now opens the opportunity for those historic vehicles to continue running with a Cummins clean-diesel repower. 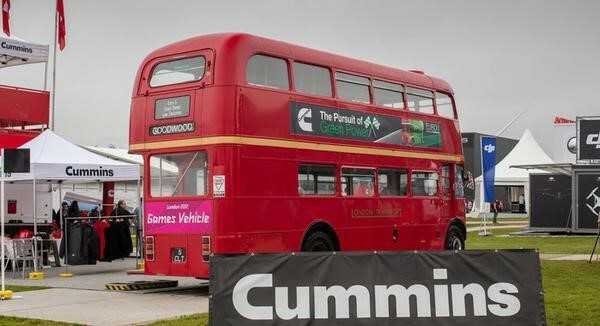 RM1005 can be found on the Cummins outside stand, at FG H97, located by Hall 16 under the theme of ‘Powering the London Red Bus Green’. Visitors who board the bus will be in royal company, because in its many appearances for charitable events in recent years, it has welcomed aboard public figures such as the Prince of Wales, the Duke and Duchess of Cornwall and Prince Harry. 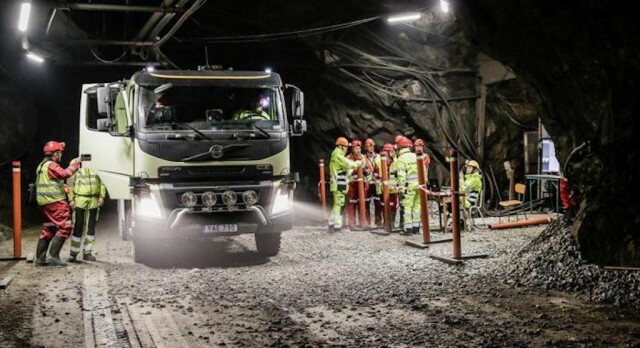 Volvo is the first manufacturer in the world to introduce a fully autonomous truck into an underground working environment. The company’s FMX tipper has begun full scale testing at the Boliden mine in Kristineberg, Sweden, where it will be tested inside the earth at a distance of up to four miles into the mine, and a depth of 4,330 feet (1,320m). To prove the technology, Holmström took part in a film where he stood in the middle of the mine gallery as the truck approached. “No matter what type of vehicle we develop, safety is always our primary concern and this also applies to self-driving vehicles,” he said. “I was convinced the truck would stop, but naturally I felt a knot in my stomach until the truck applied its brakes. Using various sensors, the FMX Tipper continuously monitors its surroundings and avoids both fixed and moving obstacles. At the same time, an on-board transport system gathers data to optimise and coordinate the route and fuel consumption. Volvo believes that a driverless truck such as the FMX could be of huge benefit to the mining industry in terms of productivity, as autonomous vehicles would not need to be cleared from mines during blasting periods, nor would they have to wait for new mine galleries to be vented before being used inside them. 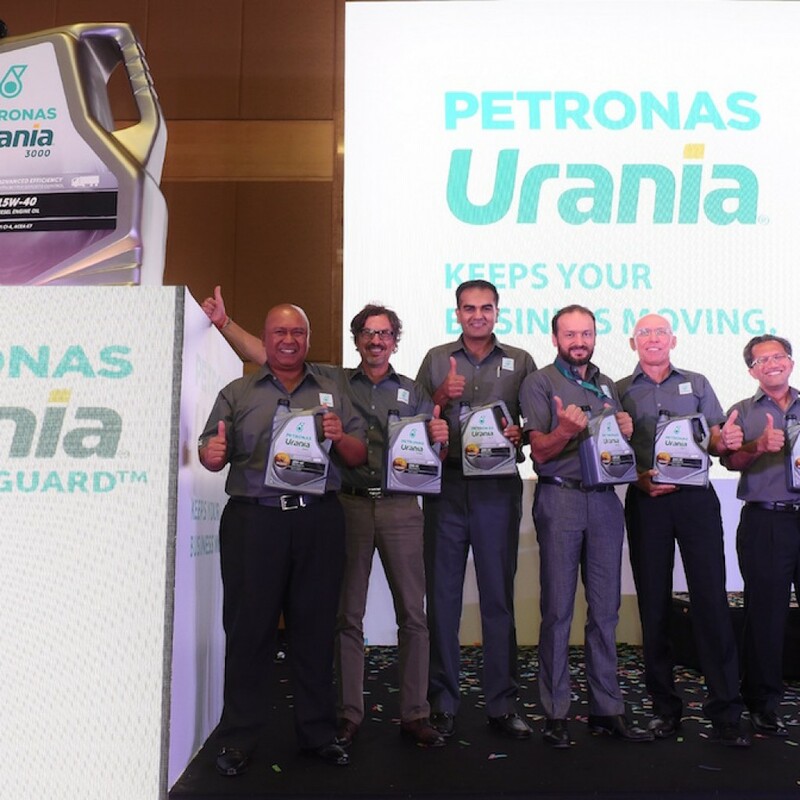 First launched in the Europe region in May 2016, PETRONAS Urania with ViscGuard™ is now available in Malaysia. With the construction and manufacturing sector in Malaysia set to grow consistently over the next few years, there will be steady demand commercial vehicles to support this growth. Despite commercial vehicle sales easing slight in 2016, the market is forecasted to bounce back in 2017 and remain on an upward trend until 2020. 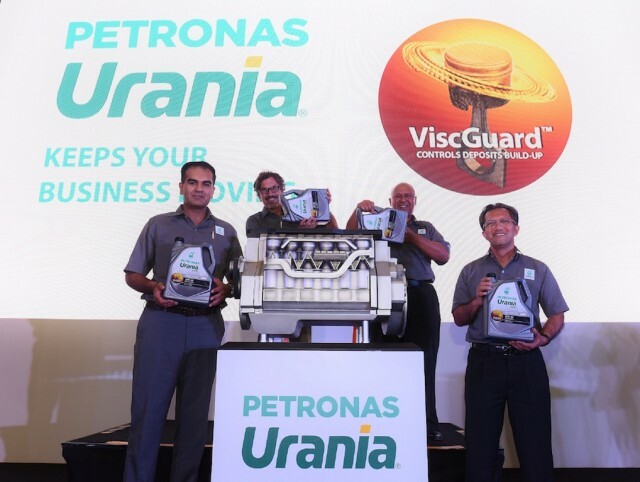 “PETRONAS Urania with ViscGuard™ not only guards the heart of a vehicle against engine deposits build-up, but also has a direct impact on the total cost of ownership for our customers. More importantly, it ensures that our customers are able to remain operational and meet their business commitment day after day,” said Zubair. The build-up of engine deposits is a common but underestimated problem, which can lead to engine failure and unplanned downtime if not addressed. Soot and ash particles exist in all engines, a byproduct of diesel fuel combustion. Over time, they can cause oil thickening and further agglomerate to form larger particles that stick to critical engine parts. These ‘silent killers’ can starve critical engine parts which require necessary lubrication and increase engine’s wear and tear. Over time, and aggravated by the severe operating conditions that commercial vehicles undergo, it will eventually lead to total engine breakdown. PETRONAS Urania with ViscGuard™ is engineered with robust oil film that disperses engine deposits, while maintaining optimal oil viscosity for longer engine life. When tested against latest industry standard, PETRONAS Urania with ViscGuard™ performed up to 89% better at maintaining oil viscosity integrity under high soot conditions. PETRONAS Urania with ViscGuard™ also performed up to 50% better in controlling carbon build-up. 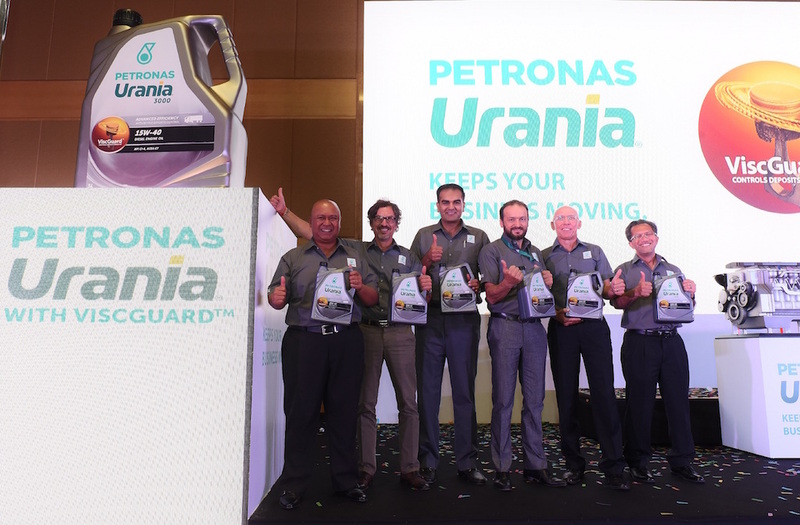 The launch of PETRONAS Urania with ViscGuard™ is on the back of PLI’s strategic growth aspiration to be among the world’s top lubricants players by 2019. It capitalises on the upward trend in the global lubricants market, projected to be worth US$166.59 billion by 2021 as well as driven by the increasing commercial vehicle sales and rapid industrialization in emerging countries. Locally, PETRONAS aims to be the market leader by 2018. The head-up display (HUD) has already conquered the mid-range cars, but it’s still new in the world of trucks. That said, Continental is one of the world’s first companies to develop a HUD for commercial vehicles and has installed the technology in its own InnovationTruck. Supplementing conventional instrument clusters, the display provides the driver with greater safety and comfort by projecting a color image of important driving information into his field of vision. 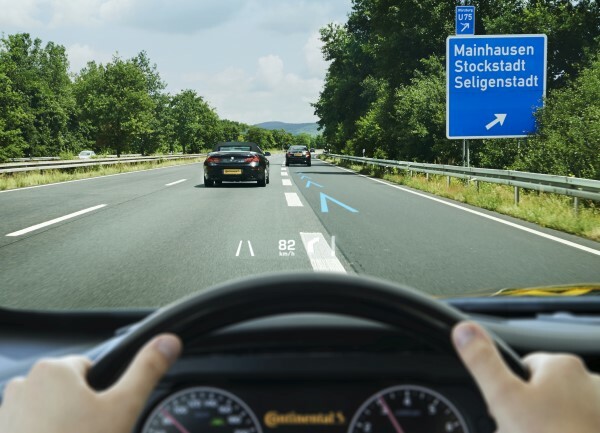 Continental offers manufacturers the display as a windshield or a combiner HUD. Customers can also choose to have the display shown in the upper or lower field of view (look-up or look-down concept). The display options and the color schemes of the HUD are very varied and can be freely defined by the vehicle manufacturer. The display gets its data via the CAN bus and depending on the available sources, the display choices range from speed, navigation instructions and traffic sign warnings such as passing restrictions and speed limits, to distance warnings, gas tank levels and the driving time remaining until the next break. The driver gets all the important information exactly where he needs it – in his field of view. This increases safety, because he doesn’t have to take his eyes off the road for a second or two, as is the case with a conventional instrument cluster – and his eyes don’t have to focus on a shorter viewing distance before the flow of information starts and then adjust again to the longer-distance view. This refocusing process takes time and tires the eyes after a while. The Continental HUD is available as a windshield HUD, where the windshield serves as a mirror for the displayed information. This version is ideal for commercial vehicles with flatter windshields which are common in the USA. In the case of the combiner HUD, a transparent pane (the combiner) handles the image reflection in front of the windshield. This version is particularly suitable for confined spaces with more steeply curved windshields, which are more common in Europe. The vehicle manufacturer can also choose whether the combiner display should be shown in the upper or lower field of view (look-up and look-down approach). 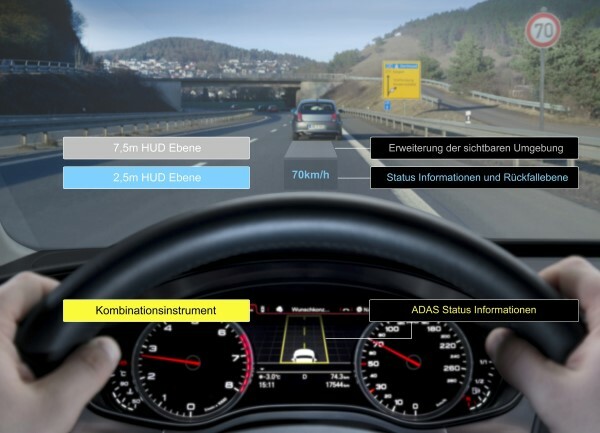 Continental offers the windshield HUD in the look-down version as standard. The use of a head-up display also gives OEMs new opportunities in vehicle design. The instrument panel can be made smaller, for example, because all of its information content can be transferred to the HUD. In developing the HUDs for commercial vehicles, Continental engineers used synergies within the Group and the know-how of their colleagues from the automobile sector, where Continental has long been a supplier for several manufacturers, delivering the first full-color HUD as far back as 2003. The HUD supports the driver in the Continental Innovation Truck and has been used successfully for more than 27,000 kilometers. © 2019 BigWheels. All rights reserved.